Post-translational attachment of a small ubiquitin-like modifier (SUMO) to the lysine (K) residue(s) of target proteins (SUMOylation) is an evolutionary conserved regulatory mechanism. This modification has previously been demonstrated to be implicated in the control of a remarkably versatile regulatory mechanism of cellular processes. However, the exact regulatory role and biological actions of the E2 SUMO-conjugating enzyme (UBC9)-mediated SUMOylation function in pancreatic beta cells has remained elusive. Inducible beta cell-specific Ubc9 (also known as Ube2i) knockout (KO; Ubc9Δbeta) and transgenic (Ubc9Tg) mice were employed to address the impact of SUMOylation on beta cell viability and functionality. Ubc9 deficiency or overexpression was induced at 8 weeks of age using tamoxifen. To study the mechanism involved, we closely examined the regulation of the transcription factor nuclear factor erythroid 2-related factor 2 (NRF2) through SUMOylation in beta cells. Upon induction of Ubc9 deficiency, Ubc9Δbeta islets exhibited a 3.5-fold higher accumulation of reactive oxygen species (ROS) than Ubc9f/f control islets. Islets from Ubc9Δbeta mice also had decreased insulin content and loss of beta cell mass after tamoxifen treatment. Specifically, at day 45 after Ubc9 deletion only 40% of beta cell mass remained in Ubc9Δbeta mice, while 90% of beta cell mass was lost by day 75. 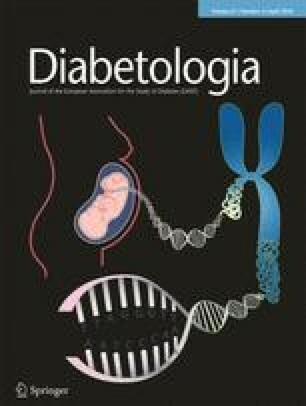 Diabetes onset was noted in some Ubc9Δbeta mice 8 weeks after induction of Ubc9 deficiency and all mice developed diabetes by 10 weeks following tamoxifen treatment. In contrast, Ubc9Tg beta cells displayed an increased antioxidant ability but impaired insulin secretion. Unlike Ubc9Δbeta mice, which spontaneously developed diabetes, Ubc9Tg mice preserved normal non-fasting blood glucose levels without developing diabetes. It was noted that SUMOylation of NRF2 promoted its nuclear expression along with enhanced transcriptional activity, thereby preventing ROS accumulation in beta cells. SUMOylation function is required to protect against oxidative stress in beta cells; this mechanism is, at least in part, carried out by the regulation of NRF2 activity to enhance ROS detoxification. Homeostatic SUMOylation is also likely to be essential for maintaining beta cell functionality. Xiaoyu He and Qiaohong Lai contributed equally to this study. The online version of this article ( https://doi.org/10.1007/s00125-017-4523-9) contains peer-reviewed but unedited supplementary material, which is available to authorised users. Post-translational attachment of a small ubiquitin-like modifier (SUMO) to the lysine (K) residue(s) of a target protein (defined as SUMOylation) is an evolutionarily conserved regulatory mechanism. Studies over the past two decades have demonstrated that SUMOylation is a remarkably versatile regulatory mechanism of protein function with implications for signal transduction, gene transcription, maintenance of genome stability, protein targeting, tumourigenesis and glucose metabolism [1, 2, 3]. Previous studies including our own have demonstrated that SUMOylation regulates the viability of pancreatic beta cells [4, 5, 6, 7, 8, 9, 10, 11, 12, 13, 14, 15]. A number of studies suggested that SUMO-modified proteins were present in the nucleus and played a crucial role in the regulation of insulin gene expression in beta cells [7, 8, 9]. Subsequent data extended SUMOylation’s function outside the nucleus [10, 11, 12, 14, 15, 16], indicating SUMOylation as a novel signalling pathway in the regulation of insulin secretion. More recently, SUMO1 has been considered as a novel antiapoptotic protein in islets, as upregulation of sentrin-specific protease 1 (SENP1), a SUMO deconjugation enzyme, reduced cell viability, resulting in impaired islet function . However, studies involving islet-specific Senp1 deletion in mice further noted that loss of Senp1 impaired amplification of insulin exocytosis . To address the exact role of SUMOylation in pancreatic beta cell survival and function, we generated mouse models of diabetes with inducible depletion or enhancement of SUMOylation function specifically in pancreatic beta cells by targeting E2 SUMO-conjugating enzyme (UBC9), the only conjugating enzyme essential for the SUMO system. The Ubc9 (also known as Ube2i)flox (Ubc9f/f) mice were generated as detailed in Fig. 1a. The Rip-CreER (Cre) mice, which were kindly provided by D. Melton (Harvard University, MA, USA), express Cre recombinase under the control of the rat insulin 2 promoter. The Flp transgenic mice were purchased from the Jackson’s Laboratory (Bar Harbor, ME, USA). The inducible Ubc9 transgenic mouse model (Ubc9CAT-Tg) was created by inserting the Ubc9 coding sequence into a pCAG-CAT-X vector, which was provided by Q. Yang (University of Alabama at Birmingham, AL, USA). All mice had been backcrossed onto the C57BL/6 background for ten generations. The Ubc9f/f and Ubc9CAT-Tg mice were next crossed with Cre mice, and beta cell-specific Ubc9 deficiency or overexpression was induced at 8 weeks of age using tamoxifen (75 mg/kg; Sigma, St Louis, MO, USA) intraperitoneally for 5 consecutive days. All experimental mice were treated with tamoxifen in the same protocol. Analyses were performed starting 7 days after the final tamoxifen injection. Cre-mediated excision of Ubc9 was assessed by PCR using genomic DNA derived from pancreatic islets with the primers 5′-ACC TGG ATC TTG CCC TCC TT- 3′ and 5′-CAG CTC AGA CCT GGC CTT ACT-3′. In all animal studies, male mice were used and littermates were served as control animals. Mice were housed individually in ventilated cages in a pathogen-free facility with a 12 h light/dark cycle, and were fed with a standard mouse chow diet. All procedures involving animals were approved by the Tongji Hospital Animal Care and Use Committee in accordance with the National Institutes of Health (NIH) guidelines. The mice were stressed by multiple low doses of streptozocin (STZ; 50 mg/kg per day for 4 consecutive days) as previously reported . Treatments with 0.1% (wt/vol.) N-acetylcysteine (NAC) (Beyotime, Shanghai, China) were begun at day 7 after tamoxifen treatment. The mice were considered to have developed diabetes once non-fasting blood glucose levels exceeded 13.9 mmol/l for 2 consecutive days (see ESM Methods). Intraperitoneal glucose and insulin tolerance tests were undertaken as previously described . Pancreatic islet isolation, insulin secretion assay and islet insulin content measurement were carried out using established techniques [18, 19]. Analysis of insulin concentration was performed using a Rat/Mouse Insulin ELISA kit (Millipore, Billerica, MA, USA) (see ESM Methods). Pancreases were subjected to H&E staining , immunohistochemical staining (UBC9, insulin and glucagon) , immunofluorescence staining (insulin, glucagon and cleaved caspase-3) , and TUNEL assay  as reported (see ESM Methods). Isolated islets were visualised by electronic microscopy. Real-time RT-PCR  was used to determine the mRNA expression levels of antioxidant genes (Sod1, Sod2, Gpx1, Gstp1, Cat, Txnrd1, Ho-1 [also known as Hmox1], Nqo1). Gapdh was used for normalisation. The primer sequences for all examined genes are listed in ESM Table 1. Protein levels of UBC9, SUMO1, nuclear factor erythroid 2-related factor 2 (NRF2), ubiquitin and haemagglutinin (HA) were analysed by western blot analysis as previously described  (see ESM Methods). The levels of reactive oxygen species (ROS) in the islets under physiological conditions were determined by analysis of islet lysates using a mouse ROS ELISA kit (Lanpai, Shanghai, China). The isolated islets and NIT-1 cells were stimulated with 2.5 mmol/l or 10 mmol/l STZ, respectively. ROS accumulation was analysed using 2′,7′-dichlorodihydrofluorescein diacetate (DCFH-DA, 10 μmol/l; Beyotime, Shanghai, China) as previously described  (see ESM Methods). Expression plasmids for full-length Nrf2 (also known as Nfe2l2), Ubc9, Sumo1 and relative mutations were constructed as previously described  (see ESM Methods). NOD-derived NIT-1 cells and human embryonic kidney (HEK) 293 cells were transferred from the Center for Biotechnology and Genomic Medicine, Georgia Regents University (now named Augusta University, Augusta, ME, USA). The cell lines were routinely tested and authenticated negative for mycoplasma contamination. Cells were transfected with the above prepared plasmids using the Lipofectamine 3000 reagent (Invitrogen, Irvine, CA, USA), and harvested for analysis 48 h after transfection. Immunoprecipitation with NIT-1 cell lysate was performed to analyse endogenous SUMOylated NRF2. An in vivo SUMOylation assay and a UBC9 fusion-directed SUMOylation (UFDS) system  were employed to analyse the NRF2 SUMOylation sites (see ESM Methods). The protein stability of NRF2 was analysed using cycloheximide (CHX) pulse-chase experiments and in vivo ubiquitination assay, as described in ESM Methods. Chromatin immunoprecipitation (ChIP) assay , electrophoretic mobility shift assay (EMSA)  and dual-luciferase assay  were performed to analyse the activity of NRF2 (see ESM Methods). Data were expressed as means ± SEM. All statistical analyses were carried out using the Graphpad Prism 5.0 software (La Jolla, CA, USA). The data were analysed using Student’s t test or one-way or two-way ANOVA where appropriate. Log-rank (Mantel–Cox) tests were employed to analyse the incidence of diabetes. In all cases, p < 0.05 was considered as statistically significant. We used the strategy shown in Fig. 1a to generate a conditional Ubc9 KO model. Three chimeric mice were obtained by genotyping the neo-flippase recognition target (FRT) allele (Fig. 1b), which was then depleted by crossing these mice with the Flp (also known as Hpd) transgenic mice. Next, the Ubc9f/f mice were crossed with Cre mice to generate Ubc9f/f-Rip-CreER mice, in which tamoxifen was used to generate beta cell-specific Ubc9 KO (Ubc9Δbeta) mice. Ubc9f/f mice induced with tamoxifen served as control animals. The mice were killed at day 7 after tamoxifen treatment to confirm Ubc9 deficiency. PCR analysis of islet DNA detected the KO allele, which was absent in the Ubc9f/f mice (Fig. 1c), and western blot analysis of islet lysates confirmed a significant reduction in UBC9 protein production in the Ubc9Δbeta mice (Fig. 1d). Furthermore, serial pancreatic section immunohistochemical staining indicated that UBC9 deficiency only occurred in beta cells in Ubc9Δbeta islets (Fig. 1e). Additionally, western blot analysis of tissue lysates from brain, hypothalamus, skeletal muscle and liver failed to detect significant differences in terms of UBC9 level between Ubc9Δbeta and Ubc9f/f mice (Fig. 1f). Consistent with this, western blot analysis of islet lysates with a SUMO1 antibody confirmed a significant reduction in SUMOylated proteins in the Ubc9Δbeta islets (Fig. 1g). To determine the functional impact of UBC9-mediated SUMOylation on pancreatic beta cells, we monitored blood glucose levels in Ubc9Δbeta mice. Ubc9f/f and Cre mice induced with tamoxifen served as control animals. By day 9 after tamoxifen treatment, the Ubc9Δbeta mice were already showing abnormal glucose tolerance, in spite of preservation of normal basal glycaemia (Fig. 2a). In line with these observations, a reduction in serum insulin levels was noted 30 min after glucose treatment in Ubc9Δbeta mice (Fig. 2b). Ubc9Δbeta mice maintained normal basal glucose levels up to 6 weeks following tamoxifen treatment, after which there was a progressive increase in blood glucose levels (Fig. 2c). Onset of diabetes was noted in some of the Ubc9Δbeta mice 8 weeks after tamoxifen treatment, and all mice developed diabetes by 10 weeks following tamoxifen treatment (Fig. 2d). The tamoxifen-treated Ubc9Δbeta mice showed in parallel a progressive decrease in serum insulin levels (Fig. 2e), but preserved normal insulin sensitivity (Fig. 2f). A reduction in body weight was found 10 weeks after tamoxifen treatment, in parallel with the increase in incidence of diabetes (Fig. 2g). Together, those data indicate that a loss of SUMOylation function in beta cells, secondary to Ubc9 deletion, induces the development of spontaneous diabetes. The above results prompted us to check the impact of Ubc9 deletion on beta cell mass and function. A reduction in beta cell mass was notable after day 15 of tamoxifen treatment, and became increasingly significant after day 30 of tamoxifen treatment, as evidenced by the smaller islet size (Fig. 3a,b) and decreased insulin staining area (Fig. 3c,d). In particular, at day 45 after tamoxifen treatment, only 40% of the beta cell mass remained in Ubc9Δbeta mice, and 90% of the beta cell mass was lost by day 75 (Fig. 3a–d). In addition, the loss of beta cell mass was specific as there was no significant change in the glucagon-staining area (Fig. 3c,e). Consistent with the decreased beta cell mass, there was also a progressive decrease in glucose-stimulated insulin secretion (GSIS) in islets isolated from Ubc9Δbeta mice, which was already observed by day 15 and reached a nadir by day 45 after tamoxifen treatment (Fig. 3f). We also measured islet insulin content at day 15 after tamoxifen treatment, with insulin content markedly lower in Ubc9Δbeta islets than Ubc9f/f islets (Fig. 3g). However, when secreted insulin was expressed as islet insulin content, insulin secretion from Ubc9Δbeta islets displayed a 60.1% increase compared with Ubc9f/f islets (Fig. 3h). To further evaluate whether there were ultrastructural signals of beta cell dysfunction ahead of actual beta cell loss, we used electron microscopy to examine insulin granules in islets at day 7 after tamoxifen treatment, by which time there were no differences in beta cell mass between Ubc9Δbeta and Ubc9f/f mice (data not shown). There was a significant decrease in insulin granule volume in Ubc9Δbeta mice compared with Ubc9f/f mice (Fig. 3i), as evidenced by the lower number (Fig. 3j) and smaller size (Fig. 3k) of the granules. Furthermore, Ubc9Δbeta beta cells displayed a significant decline in the percentage of mature insulin granules (Fig. 3l). Taken together, our data support the fact that loss of Ubc9 results in beta cell loss along with impaired beta cell function. Given the observed beta cell loss in Ubc9Δbeta mice, we investigated the presence of beta cell apoptosis. TUNEL-positive apoptotic beta cells were detected by day 30 after tamoxifen treatment in Ubc9Δbeta islets (data not shown); this apoptosis was elevated further at day 45 following tamoxifen treatment (Fig. 3m), while apoptotic beta cells were almost undetectable in Ubc9f/f islets at all time points examined. Similarly, Ubc9Δbeta islets displayed a significantly higher number of cleaved caspase-3-positive beta cells than did Ubc9f/f islets (Fig. 3n). Together, our data suggest that sustained loss of Ubc9 leads to beta cell apoptosis. To analyse the mechanisms by which loss of Ubc9 leads to beta cell apoptosis, we examined ROS accumulation and antioxidant capability, as our previous studies demonstrated that SUMOylation may regulate oxidative stress in other cell types [5, 6, 29, 30]. Remarkably, far higher levels of basal ROS accumulation were noted in Ubc9Δbeta islets than Ubc9f/f control islets (Fig. 4a). To confirm this result, we stimulated islets with STZ as described and then measured ROS accumulation by DCFH-DA staining. The Ubc9Δbeta islets exhibited a 3.5-fold higher ROS accumulation than the Ubc9f/f control islets (Fig. 4b). Given that rodent beta cells have low levels of antioxidant enzymes, which renders them vulnerable to oxidative damage [31, 32, 33], we next examined the levels of antioxidant enzymes following tamoxifen treatment. Notably, mRNA expression of several key antioxidant enzymes was decreased as early as day 15 after tamoxifen treatment (Fig. 4c). NRF2 is a key transcriptional factor in the regulation of antioxidant enzymes in beta cells exposed to environmental stress [34, 35]. Interestingly, there was a nearly threefold decrease in the level of nuclear NRF2 in Ubc9Δbeta islets compared with Ubc9f/f control islets (Fig. 4d). Consistent with this, Ubc9Δbeta islets displayed significantly lower NRF2 binding to the response elements, as illustrated by EMSA (Fig. 4e) and ChIP assay (Fig. 4f, g). To extend these observations to in vivo situations, we exposed Ubc9Δbeta mice (1 week after tamoxifen treatment) to multiple low doses of STZ. Ubc9Δbeta mice were more susceptible to the STZ treatment, as evidenced by the significantly higher blood glucose levels compared with Ubc9f/f control mice (Fig. 4h). To confirm these data, we treated Ubc9Δbeta and Ubc9f/f mice with NAC, an ROS scavenger. As expected, all regular water-fed Ubc9Δbeta mice spontaneously developed diabetes, whereas the change in blood glucose levels was much smaller in the NAC water-fed Ubc9Δbeta mice (Fig. 4i), in parallel with a 33% decrease in incidence of diabetes (Fig. 4j). Collectively, our data suggest that loss of Ubc9 decreases the nuclear level and activity of NRF2, leading to deceased levels of antioxidant enzymes and thus enabling ROS accumulation in beta cells. A recent study provided feasible evidence that NRF2 is a potential SUMOylation target in hepatic stellate cells , and our studies in NIT-1 cells (a NOD-derived beta cell line) confirmed SUMOylation of NRF2 (Fig. 5a). Different positions of NRF2 bands have been reported in diverse cell types [37, 38, 39, 40, 41, 42], and the exact western blot molecular mass of NRF2 in NIT-1 cells has been verified, using an HA-tagged transfection assay, to be less than 70 kDa (ESM Fig. 1). Next, to identify the predicted SUMO1 acceptor (lysine) sites, we generated three NRF2 variants, K525R, K595R and K525R/K595R, as described. It was noted that two NRF2 reactive bands between 70 and 130 kDa could be detected in SUMO1 immunoprecipitated products originated from Nrf2 wild-type (WT) transfected NIT-1 cells, whereas only the lower reactive band could be detected in K525R or K595R transfected cells, and the SUMOylated NRF2 became undetectable once NIT-1 cells transfected with both acceptor sites mutated (K525R/K595R) (Fig. 5b). Of importance, studies in our UBC9 fusion-directed SUMOylation system produced identical results (Fig. 5c), with conduction of SUMOylation completely dependent on the catalytic activity of the fused UBC9, as WT Nrf2 fused with active-site-mutated Ubc9 [WT-Ubc9(C93S)] failed to catalyse NRF2 SUMOylation (Fig. 5c). Collectively, these data demonstrate that K525 and K595 are likely to be the only two SUMO-targeted lysine residues within NRF2, and, in our study, their SUMOylation resulted in two reactive NRF2 bands. To address the mechanisms by which UBC9 regulates NRF2 activity, we investigated the impact of Ubc9 deficiency on NRF2 nuclear protein level. NIT-1 cells were transfected with a WT Nrf2 (Nrf2-WT) plasmid in parallel with a double SUMOylation-site-mutated (Nrf2-mu) plasmid, followed by STZ stimulation. We focused on the 0, 1 and 3 h time points after STZ treatment. Interestingly, Nrf2-WT transfected NIT-1 cells displayed around twofold higher nuclear NRF2 levels than Nrf2-mu transfected cells at 1 h and 3 h (Fig. 5d). In line with this result, the Nrf2-WT transfected NIT-1 cells manifested significantly higher NRF2 binding to the antioxidant response element (ARE) than did Nrf2-mu transfected cells (Fig. 5e). Importantly, luciferase reporter assays confirmed that SUMOylation of NRF2 was required for its optimal transcriptional activity (Fig. 5f). Indeed, the Nrf2-WT transfected cells exhibited significantly higher levels of NRF2 downstream antioxidant enzymes (Fig. 5g) along with lower levels of ROS accumulation following STZ treatment (Fig. 5h). Together, these data support the fact that SUMOylation enhances NRF2 nuclear expression, which then enhances cell capability for detoxification of ROS. Until recently, the prevailing view was that the stability of NRF2 is regulated principally by ubiquitination and subsequent proteasomal degradation . It was therefore of interest to check whether Ubc9-mediated SUMOylation would enhance NRF2 protein stability by reducing its ubiquitination. We thus conducted CHX pulse-chase studies by transfecting the Nrf2-WT and Nrf2-mu plasmids into NIT-1 cells. Remarkably, Nrf2-mu transfected cells were characterised by a significant decrease in NRF2 protein half-life compared with Nrf2-WT transfected cells (Fig. 5i), suggesting that SUMOylation may protect NRF2 from degradation. To address this question, we examined NRF2 ubiquitination in NIT-1 cells transfected as described above; the Nrf2-mu transfected cells did indeed display a higher level of the poly-ubiquitin-conjugated form of NRF2 than did the Nrf2-WT transfected cells (Fig. 5j). In addition, we constructed a plasmid expressing a constitutively active Nrf2-mu, which lacks the Neh2 domain of NRF2, which is responsible for binding to Kelch-like ECH-associated protein (KEAP1) . Consistently, transfection of NIT-1 cells with constitutively active Nrf2-mu increased the stability of Nrf2-mu protein (ESM Fig. 2). Taken together, those data support the idea that SUMOylation stabilises NRF2 against ubiquitin-mediated proteasomal degradation. To investigate more deeply the role of SUMOylation in beta cell oxidative stress, we generated a loxP Ubc9 transgenic model (Ubc9CAT-Tg) as described and obtained two founders. The Ubc9CAT-Tg mice were next crossed with Cre mice as detailed in Fig. 6a. Beta cell-specific transgenic Ubc9 expression (Ubc9Tg mice) was induced using tamoxifen, while tamoxifen-induced Ubc9CAT-Tg mice (NTg) served as control animals. As expected, western blot analysis indicated significant transgene expression by day 7 after tamoxifen treatment in Ubc9Tg but not in NTg mice (Fig. 6b). Consistently, western blot analysis of islet lysates with a SUMO1 antibody confirmed a significant increase in SUMOylated proteins in the Ubc9Tg islets (ESM Fig. 3). In contrast to NTg islets, a fourfold higher nuclear level of NRF2 was noted in Ubc9Tg islets (Fig. 6c). We then challenged Ubc9Tg and NTg islets with STZ as described earlier. Ubc9Tg islets displayed a nearly 2.5-fold reduction in ROS accumulation compared with NTg islets (Fig. 6d). To confirm these data, we treated Ubc9Tg and NTg mice with multiple low doses of STZ 1 week after tamoxifen treatment. An escalating blood glucose level was noted in NTg mice after day 4 of STZ treatment, whereas the change in blood glucose level was much lower in Ubc9Tg mice (Fig. 6e). Consistent with this, only four out of 12 Ubc9Tg mice (33.3%) became diabetic, while 72.7% (eight out of 11) of NTg mice developed diabetes (Fig. 6f). Similarly, Ubc9Tg mice manifested higher plasma insulin levels (Fig. 6g) and beta cell mass volume at day 24 after STZ induction (Fig. 6h). Of note, studies in another Ubc9 transgenic line obtained consistent results (data not shown). Finally, we sought to address the functional properties of beta cells in Ubc9Tg mice in the absence of exogenous STZ challenge. We noted that Ubc9Tg mice displayed an abnormal glucose tolerance at day 9 following induction of UBC9 transgene expression (Fig. 7a), along with a reduction in serum insulin levels 30 min after glucose stimulation (Fig. 7b). Similar to Ubc9Δbeta mice, Ubc9Tg mice were characterised by normal insulin sensitivity (Fig. 7c). We then checked the impact of transgenic UBC9 expression on beta cell functionality. We first observed a decrease in glucose-induced insulin release compared with islets isolated from NTg mice (Fig. 7d). Next, we measured islet insulin content. Unlike insulin secretion, there was no difference between the Ubc9Tg and NTg islets (Fig. 7e). However, once normalised to related islet insulin content, Ubc9Tg islets displayed a 32.5% decrease in terms of insulin secretion compared with NTg islets (Fig. 7f). Additionally, we examined insulin granules by electron microscopy at day 15 following tamoxifen treatment. Consistent with the islet insulin content results, we failed to detect a significant difference in terms of insulin granule number (Fig. 7g,h) and size (Fig. 7g,i), or in the percentage of mature insulin granules (Fig. 7g,j), between Ubc9Tg and NTg mice. Based on these results, we were curious about whether Ubc9Tg mice would develop diabetes spontaneously, as observed in Ubc9Δbeta mice. Interestingly, Ubc9Tg mice maintained normal glycaemia for at least 10 weeks after tamoxifen treatment, and none of them developed diabetes (Fig. 7k). Consistent with this, Ubc9Tg mice still preserved normal islet size (Fig. 7l) and beta cell mass volume (Fig. 7m) after 10 weeks of tamoxifen treatment. Similarly, studies in another Ubc9 transgenic line produced consistent results (data not shown). Together, our results demonstrate that transgenic Ubc9 impairs beta cell insulin secretion but is not associated with beta cell death, a similar phenotype to that observed in mice deficient in Senp1 (which encodes a SUMO-deconjugating enzyme) . In this study, we demonstrated that UBC9-mediated SUMOylation plays an essential role in the maintenance of beta cell survival and functionality. Beta cells deficient in Ubc9 manifest impaired antioxidant capacity, decreased insulin content and beta cell mass loss, along with progressive alterations in glucose homeostasis and ultimately severe diabetes. Insufficient insulin supply is likely contributed to by both impaired beta cell function and excessive apoptosis, suggesting that SUMOylation function is required for the maintenance of beta cell integrity. At the molecular level, loss of Ubc9 leads to the attenuated NRF2 activity and decreased expression of its downstream antioxidant genes, and consequently results in accumulation of ROS and oxidative stress. In support of these data, transgenic expression of UBC9 in beta cells significantly enhances their antioxidant capacity. Previous in vitro studies indicated that enhanced SUMOylation protects beta cells against apoptosis, while ectopic production of SENP1, a SUMO-deconjugating enzyme, induces detrimental effects on beta cell survival . Taken together, these and the present data support the notion that beta cell integrity and intracellular homeostasis relies on its SUMOylation function. The role of NRF2 in protecting pancreatic beta cells against oxidative, nitrosative and metabolic stress has been well recognised in models of diabetes [34, 35, 45]. However, the molecular mechanisms underlying the regulation of basal NRF2 activity and the magnitude of its activation in response to diverse forms of stress in beta cells are still to be fully characterised. Previous studies in hepatic stellate cells suggest that SUMOylation at specific lysine residues is required for NRF2 ARE binding . We confirmed that NRF2 is also a substrate for UBC9-mediated SUMOylation in pancreatic beta cells, and identified K525 and K595 as two SUMOylation sites for NRF2. To analyse the functional relevance of this SUMOylation, we generated an Nrf2-mu plasmid in which the two SUMOylation sites (lysine residues) were mutated into arginines (K525R and K595R). Subsequent studies in NIT-1 cells provided experimental evidence that SUMOylation of these two lysine residues promotes NRF2 transcriptional activity and protein stability. Additionally, we conducted experiments using a beta cell-specific UBC9 overexpression mouse model (Ubc9Tg) that displayed an increased antioxidant ability but impaired glucose tolerance. Analysis of islet insulin content revealed that the mechanisms underlying beta cell dysfunction in Ubc9Δbeta and Ubc9Tg mice are likely to be very different. Indeed, beta cells originated from Ubc9Δbeta mice were characterised by a significant decrease in insulin content, which probably contributed to the reduced insulin secretion. In contrast, Ubc9Tg beta cells preserved a normal insulin content, but showed the impaired insulin secretion. In fact, this phenotype is quite similar to that described in a previous study carried out in beta cell-specific Senp1-deficient mice, in which loss of Senp1 reduced insulin exocytosis . Additionally, SUMOylation also downregulates insulin secretion via glucagon-like peptide-1 (GLP-1)-regulated cAMP generation [14, 15]. Taken together, these data suggest that UBC9-mediated SUMOylation is required for pancreatic beta cell survival, but SENP1-mediated de-SUMOylation is required for beta cell insulin secretion. Therefore, a physiologically normal beta cell should maintain a dedicated homeostasis between SUMOylation and de-SUMOylation. In summary, beta cells deficient in Ubc9 have an altered redox equilibrium, leading to accumulation of ROS and oxidative stress. This oxidative stress impairs beta cell function, causes loss of beta cell mass and eventually leads to diabetes. Additionally, beta cells with an enhanced SUMOylation function caused by transgenic Ubc9 expression are more resistant to oxidative stress, and our data support the notion that an enhanced SUMOylation function would improve beta cell viability against oxidative stress in spite of impaired insulin secretion in Ubc9Tg mice. Given that a loss of Ubc9 would result in a global effect on beta cells, we cannot exclude the possibility that additional mechanisms, such as endoplasmic reticulum stress, also contribute to impaired beta cell function and viability. In this report, however, we only focused on the effect of NRF2 activity on altered redox homeostasis, which seems to act as a critical factor for protection of beta cells against oxidative stress. Likewise, our Ubc9Δbeta and Ubc9Tg models will serve as useful tools to analyse the global effects of SUMOylation on beta cell survival and function, and to screen for reagents that mimic the beneficial effects of UBC9 for clinical applications. We are grateful to D. Melton (Harvard University, Cambridge, MA, USA) for providing the Rip-CreER mice, and Q. Yang (University of Alabama, Birmingham, AL, USA) for providing the pCAG-CAT-X vector. All data generated or analysed during this study are included in this published article (and its ESM files). This study was supported by the National Natural Science Foundation of China (81530024, 9174920038, 81471046, 81470988, 81670729 and 81401268), the Ministry of Science and Technology (2016YFC1305002, 2017YFC1309603 and 2017ZX09304022-007), the Integrated Innovative Team for Major Human Disease Programs of Tongji Medical College, Huazhong University of Science and Technology and the Innovative Funding for Translational Research from Tongji Hospital to CYW, and Horizon 2020 Program (T2D systems; GA667191) to DLE. CYW conceived the project. XH, QL, CC, NL, FS, WH, SZ and PY contributed to the acquisition of data, analysis and interpretation. XH wrote the manuscript. CYW, SZ, QY and FX were involved in designing the strategy to generate and genotype the Ubc9Δbeta and Ubc9Tg mouse lines. SZ, ZC, QG, BR, JW, DLE and ZZ contributed to analysis and interpretation of the data. CYW, DLE and ZZ contributed to the study design and manuscript preparation. All authors were involved in drafting the article or revising it critically, and all authors gave their approval for the final manuscript to be published. CYW is the guarantor of this work and takes full responsibility for the content of the manuscript.